The hook climbers show a more variable range of shifts in mechanical properties compared with twiners and tendril climbers (Table 2.1; Figure 2.3 and Figure 2.4). The woody dicotyledonous liana Strychnos (Figure 2.6d and 2.6e) shows the highest value of Estr of all plants tested in young stages of development, i.e., over 12,000 MNm-2, followed by a large reduction in Estr (Table 2.1). In older stages, its value of Estr is also rather higher than most twining and tendril-climbing species. The two woody hook-climbers Bougainvillea and Rosa do not show a noticeable drop in Estr during development; rather, they retain relatively high values in old stages or increase them. 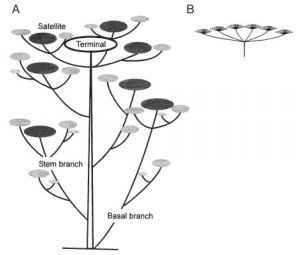 FIGURE 2.3 Mean structural Young's modulus and one standard deviation of young stages of development of climbing plants with different modes of attachment. Black bars = dicotyledons, grey bars = gymnosperms, white bars = monocotyledons, striped bar = lycopod. MNm-2 are higher than all other plants tested with the exception of the monocotyledon Ischnosiphon and the leaning species Lonicera xylosteum (Table 2.1).